To give a new thing an old or rather an antique feel is basically called “distressing”. Distress can be added easily to give any item the vintage look. One of the best and easiest things to distress at home is kitchen cabinets. They can add a bit of dash to your kitchen and without having to change anything palpable, give a warm touch to it. So here is all you need to know about making distressed kitchen cabinets. Some paint of your choice. 2. Next with the help of sandpaper slowly remove the top finish of the cabinet. It should not be hard to take the finish off with medium-grade sandpaper. However, a note of caution here, if you rub it very hard you can cause damage to the surface. So make sure you do it gently and firmly so that the work gets done without leading to any damage. Also do not use a sander while sanding the cupboards. 3. Here is when the set of keys come in handy. Pick out two or three and with them make lines across the cabinet surface. Once again these need to be done very gently otherwise instead of getting the vintage look, you will end up with just an old cabinet. Make lines randomly and with different sized keys to give a natural feel to your distressed kitchen cabinets. 4. An ice pick is the next thing to put to use. This will help you make small holes on the surface. Chains too should be employed for similar effects. A chain will create nicks here and there. These holes and nicks should only be clearly visible in close up. Only the overall look should be clear from afar. 5. After the overall look has been created more or less, get cracking with the crackling medium. Open it up and put it all around the cabinet surface. Do not apply too much that it starts to drip. Just apply enough to cover the entire surface. It is best to use a brush for application of the same. Also small strokes should be employed. After that leave it on for around two or three minutes before removing it. Now you will be able to see lines on the cabinet surface. This is a sure shot way to give your kitchen cabinets a rugged with use look. 6. Last of all, to keep this finish use either paint or stain. All you need to do is to daub the chemicals over your newly made distressed cabinet. This will ensure longevity of your effort and make your dull cabinet into hot, vintage property. 7. Now all you have to do is to put the cabinets securely back in place. Using the same screwdriver, screw the cabinets back to enjoy the visual effect of the distressed kitchen cabinets. Just double check the doors after attaching them for safety. Distressed kitchen cabinets are not just very simple but also very re-doable. In case something goes wrong or in the end you are not happy with it, it is always possible to redo it. Something called “wood putty” will come in useful at this juncture. Fill up all the holes you have made with the wood putty and once that is done you can begin from scratch (literally!). So next time you think you kitchen needs re-doing but do not have the cash, this is what you should do! I agree… very useful ideas on distressing kitchen cabinetry. The video was pretty helpful. Although once you decide to distress your cabinets, you should know that you won’t be able to restore it back to its original look, or at least you’ll have a hard time doing so. Hi Ganka, I like your kitchen blog and appreciate the excellent content you are posting here, for us, your readers. Thanks. Very informative and useful content, Ganka! 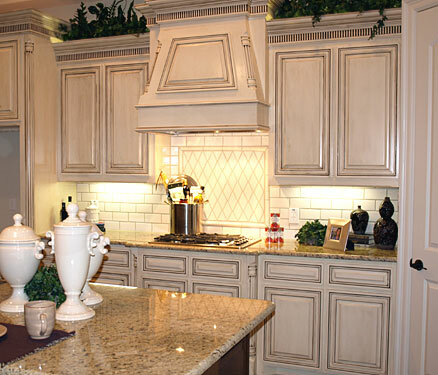 You have explained the topic about distressed kitchen cabinets in a great way. Thanks. Very useful information, definitely going to help about distressing kitchen cabinetry. Thanks for sharing the information.